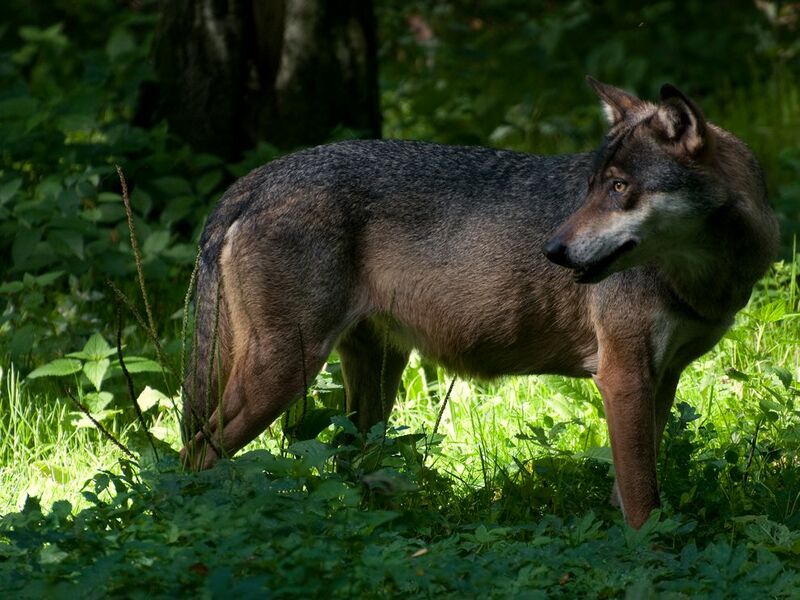 Profile photo of a wolf in a forest. The Eurasian wolf, leaner than its American cousin, was driven to extinction in France in the 20th century. Thanks to a dedicated conservation effort, a small population has returned to the Alps. Photograph by Volker.G, courtesy Wikimedia. &nbsp;This file is licensed under the Creative Commons Attribution-Share Alike 3.0 Unported license. Photograph by Volker.G, courtesy Wikimedia. This file is licensed under the Creative Commons Attribution-Share Alike 3.0 Unported license.